This sidewall is perfect for any tent! 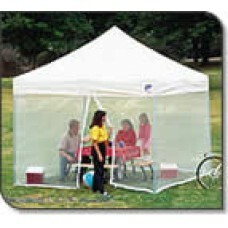 It offers a shield from outside pests, but the sidewall lets in a cool breeze from outside. The sidewalls can be attached to lengthen the sidewall of the tent.